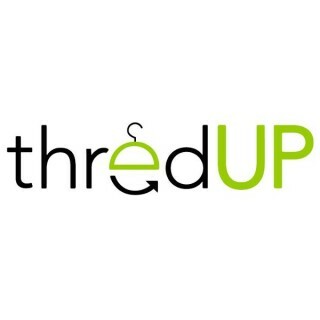 Right now, new customers can get a free $10 credit to ThredUp – one of the best places to find women’s and children’s clothing online at consignment prices (up to 90% off!). Get $10 off your first purchase by signing up here – easy peasy! Also, for a limited time, you can get 20% off your first purchase using code 20FINDS at checkout! You can also download and use their new mobile app to make it super easy to shop on the go! This is an amazing chance to snag some great stuff for next to nothing! I’ve thought about trying ThredUp. This might be enough to make me do it. I got a $10 credit instead of the $20. FYI, the $20 offer is still valid now!! Thanks for sharing this deal with us. My sister loves ThredUp! She buys clothes for her and my niece all the time. How do I get free shipping? It only seems to be free shipping over 75$? I will have to pass this information along, and share this with my sister. She loves getting really good deals, and has even been able to make good money selling clothes herself. Is this still valid? I’d love to use it! In the past two years, I “sold” clothes to ThredUp. The items I mailed to them for free, I had no emotional connection and was happy to get anything for really good conditioned boy clothes. I may have gotten $40 for 3 shipments of clothes. Not a lot $2 or less per item. I went on site recently and now there are only two options 1) pay money for leftover items to be shipped back to you 2) pay $6.99 for Thred up to get rid of not favorable clothes. With my low average per batch, I won’t be going this route. I may consider buying from site though. Will be trying this website out. Thanks for sharing. I signed up but did not get the $10 credit. Not sure why. Any suggestions? I’ve never tried online consignment shopping. I’ll have to check it out.